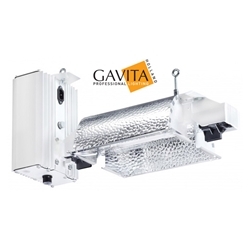 Gavita is the largest specialized horticultural lighting company in the world, producing quality lighting since 2010. They are active on all five continents with projects ranging from single fixtures to large greenhouses with well over 100,000 fixtures, serving the retail, research and professional horticultural market. 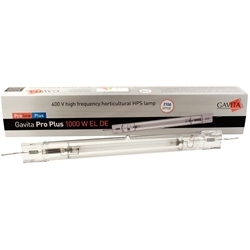 Gavita Pro Plus 1000w lamp is a replacement bulb for the 1000w, 400v Gavita Lighting system. 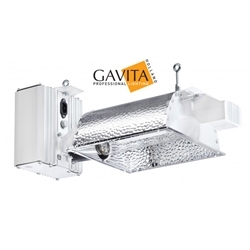 Gavita Bulbs are designed for high voltage to deliver maximum performance. In fact, 1000W Gavita bulbs maintain 96% of its light output over a year, only loosing 4% of performance. In order to keep your bulb at maximum output we reccommend lamps are changed every year.